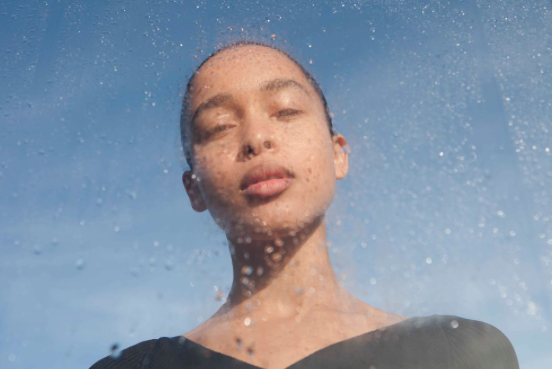 London-based singer and producer Grace Acladna captures the powerful emotions involved when witnessing a friend break up with their ex on 'Fuming'. The single is set to appear on Phonophobia, which is due for release soon. Until then, Grace takes us through the story behind 'Fuming'. The story behind ‘Fuming' is… I went to a gig and met a friend's ex...she was so bitter about their break up and even the ones before her. I was fascinated by her ability to smile and socialise whilst being very visibly contemptful, a few days later I’d written ‘Fuming’. My favourite lyric is… "Bitter is the truth, that’s why I’m lying to you"
It was made… as my way of trying to understand her. I often find myself trying to figure out why people do and feel the things they do, I think this was my way of articulating my instincts. It sounds best when… you’re swaying in a hypnotic pendulum between sadness and rage. In other words, when you’re really pissed off.